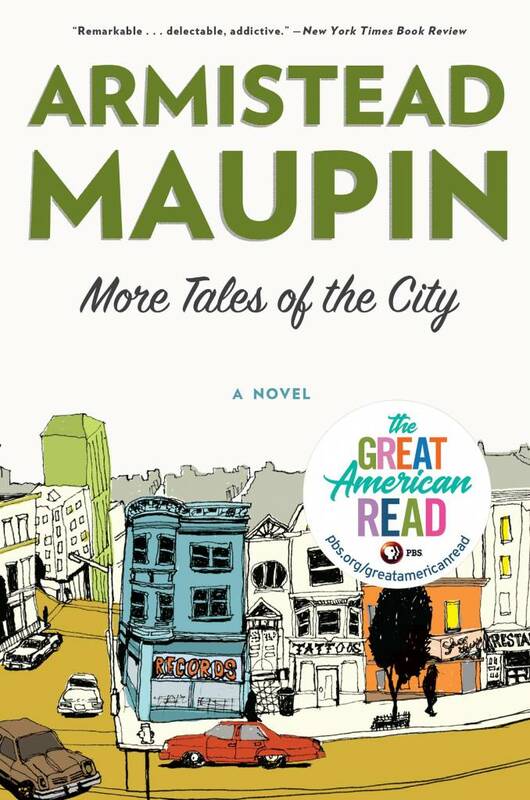 A PBS Great American Read Top 100 Pick The first novel in the beloved Tales of the City series, Armistead Maupin’s best-selling San Francisco saga, soon to return to television as a Netflix original series. The story begins about a couple months from where Tales of the City ended. Michael ("Mouse") Tolliver and Mary Ann Singleton go on a cruise, thanks to money given to her by her former boss, Edgar Halcyon. While on the cruise, Mary Ann begins a relationship with a handsome amnesiac, while Mouse rekindles his relationship with Jon who has now long distanced himself from the "A Gays" because he got fed up with their elitist and shallow ways. Mary Ann then begins to devote her time to helping her boyfriend figure out why he lost his memory. Signs point to a traumatic event he had while reporting on a story for his newspaper. What they find out is explosive and risks shaking the foundations of San Francisco elite society. Meanwhile, Mouse becomes extremely ill and is hospitalized, profoundly affecting his relationship with Jon.